Three days until SHRILUGH comes out! To help tide you over until then, here is a snippet from Part One of the book. How did I choose this snippet? Why, because it has the word ‘three’ in it, of course. This bit of the story is told from Brig Cooper’s perspective. He’s a good guy, a boy-next-door, take-home-to-meet-your-parents kind of guy. “It’s Josie, Brig. She’s evil. She pulled it out of me.” Shannon grinned sheepishly at his son. His grown-up version of a crush on Josie O’Leary was no secret to Brig or Aydan. Though he’d never summoned up enough courage to ask her out in the three years since her ex-husband took off, he’d managed to develop a knack for frequently bumping into her. If it had been anybody else, Brig would have goaded him to go for it, but the thought of being Sarah O’Leary’s step-brother, or anything remotely close to that, was almost enough to make him want to call his mom and beg her to come back. “You won’t mind a little extra company, will you, Brig? You weren’t planning anything special tonight, right?” Shannon’s keen eyes were trained on his son. 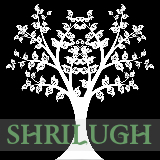 For more information on SHRILUGH, click the button on the right side of this page. Or, like me on Facebook. 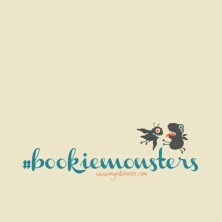 Or, check me out on Goodreads. Or, follow me on Twitter. Or take a look-see at this Pinterest board. This one, too. That’s right, social media. I own you. 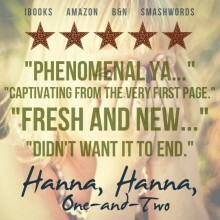 Hey, and while you’re at it, check out this uber-cool review. 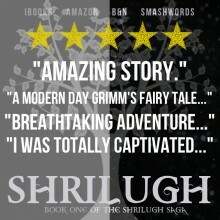 Prudence got an advance copy of SHRILUGH, and this is what she had to say about it. Fantastic Myndi! Congrats on the great review! Don’t fret, Myndi. You have a lot of people supporting you and rooting for you. Remember the WANA motto–we are not alone. As Prudence’s review proves!